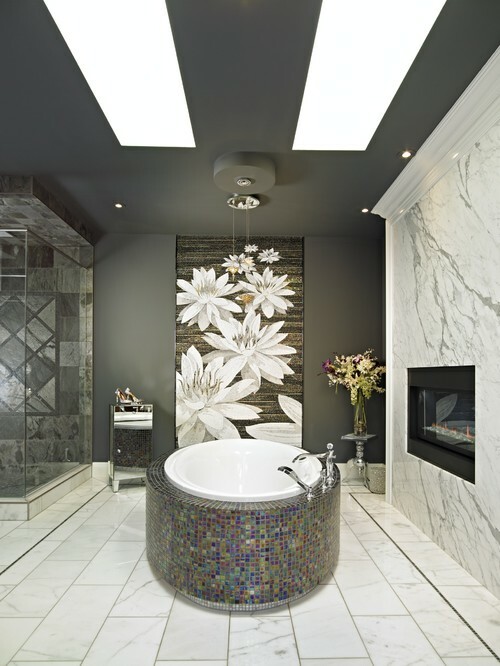 The Granite Gurus: Does the Bathtub Belong in the Middle of the Room? 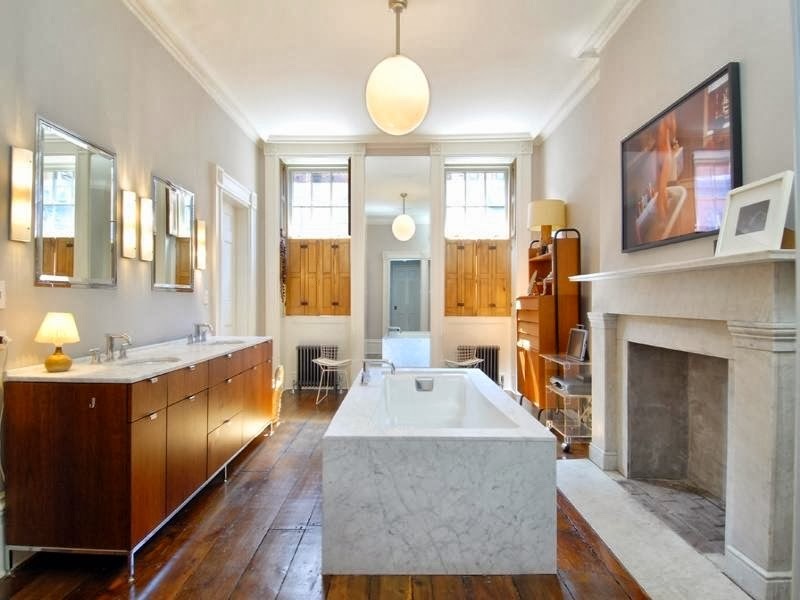 Does the Bathtub Belong in the Middle of the Room? 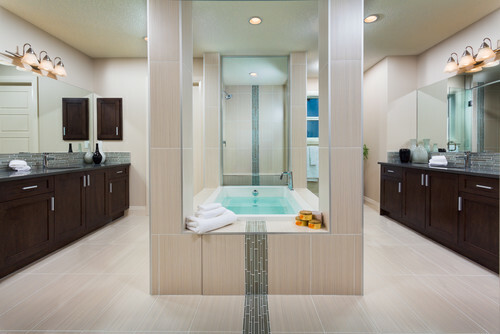 Recently I used the photo above as a reference when showing a client some ideas for her upcoming bathroom remodel. I was showing her the photo as inspiration for colors and that this bathroom doesn't look too bathroom-y. (Yes, that's a word, I just decided). Anyway, her first question was "Does a bathtub belong in the middle of a room?" Even though there's no way we'd put her bathtub in the middle of her bathroom (because her room doesn't have the layout for it), we proceeded to look at pictures of bathrooms with bathtubs in the middle for 30 minutes. In the end I convinced her that yes, a bathtub could go in the middle of a room! So tell me, would you design a bathroom so that the tub was in the middle? Do you like this layout or hate it? OK, I admit that it works in a few of these rooms, but where exactly does one set their wine glass when it's in the middle? Priorities, you know. I think they do belong in the middle of the room, It creates a different look every time you see it. The best part is that you do not have 3 sides to hop into your bath tub and we can put any low table for some wines and other drinks around the bathtub as well. BTW Thanks for the nice and creative idea.